The façade solutions offered by Riventi meet the most demanding requirements in the field of energetic and environmental efficiency, as well as in the assembly processes. Our systems have been industrialized with the adequate tools and methods to optimize the impact of the production process. Our meticulous working methodology and great technical skills have provided the firm with a solid project management reputation, being capable of adequately facing large projects such as “The City of Justice “ in Las Palmas or Ibiza’s Hospital. 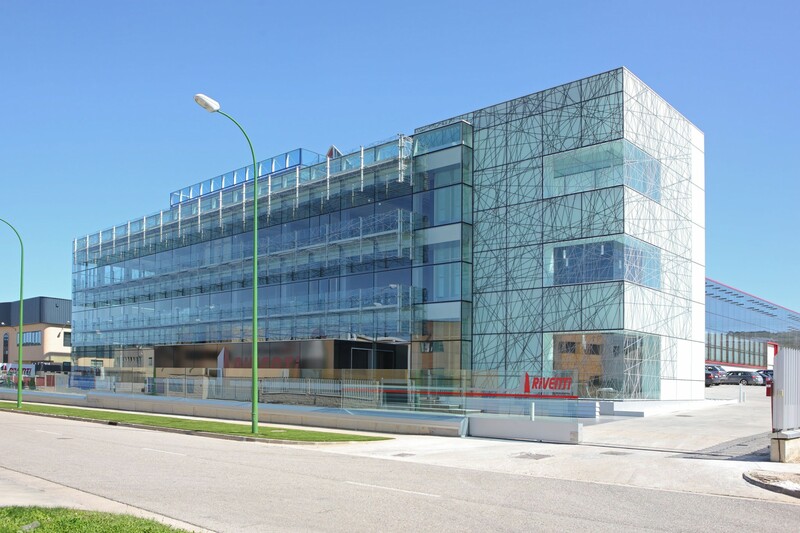 Riventi is a leading curtain-wall firm, associated to the construction of singular buildings under the direction of internationally acknowledged architects, such as Isozaki Towers in Bilbao, the Human Evolution Complex by Juan Navarro Baldeweg or Gamesa Eolica’s Headquarters by Patxi Mangado in Navarra. Our great capacity to adapt to the technical demand of the latest designs has given us the leading role in our sector. We continuously add innovative solutions that integrate a broad range of materials.